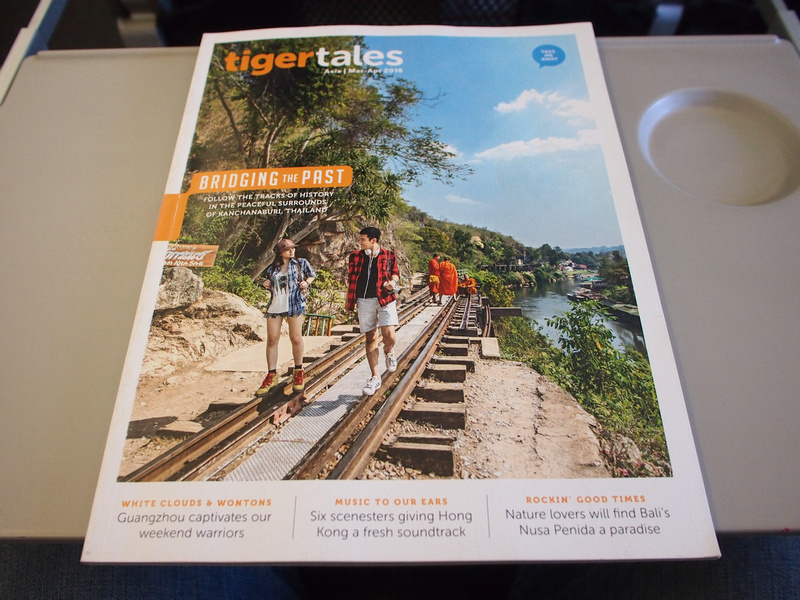 I flew with Tigerair from Penang to Singapore. I compared airfares online via Skyscanner. There are four airlines that serve Penang and Singapore; AirAsia, Tigerair, Jetstar, and Silkair. 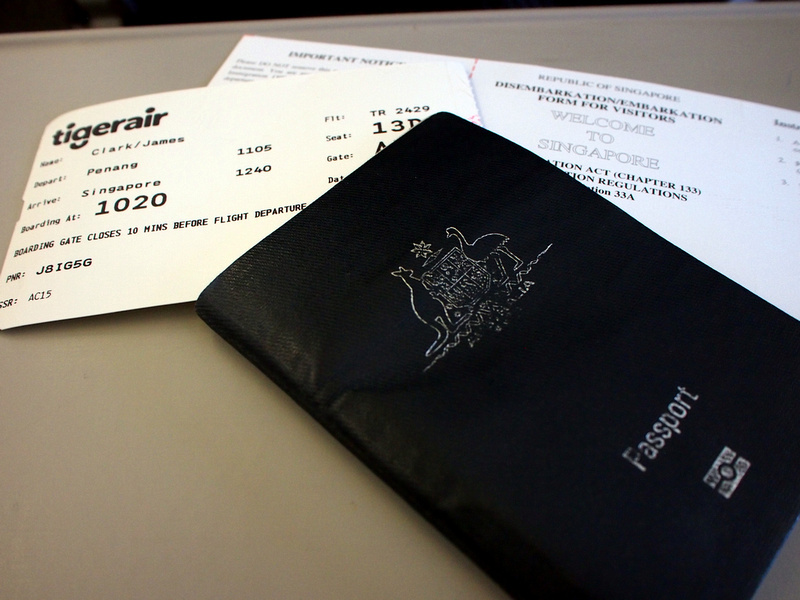 Tigerair and AirAsia were the cheapest options and I went with Tigerair mainly because my last two flights were with AirAsia and I wanted fly another airline for a change. The total fare was 164.90 MYR ($42.28 USD), of which the fare was 33.00, Passenger Service and Security Charge 68.90, and Service Fees (including taxes) was 63.00. I checked a bag (15kg) which was included in the service fee. 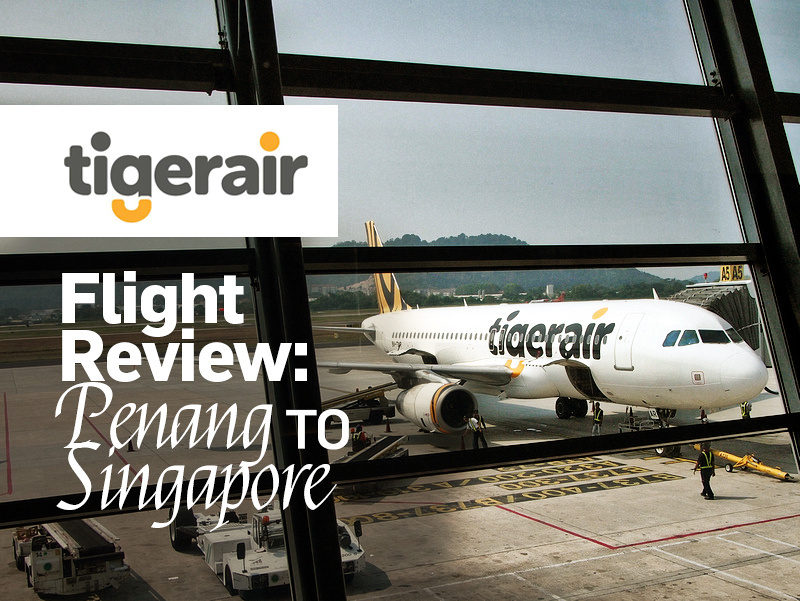 Tigerair is a low cost airline based in Singapore, and have expanded to Australia as well. I have flown them a few times now and I don’t mind them as they offer cheap fares for short-haul flights. As a low cost airlines there is no meal service included in your fare, and no onboard entertainment, so bring your own snacks and entertainment. As it was a short flight (scheduled at 90 minutes) and I was flying from one food haven to another I didn’t think about eating. I still like to look and see what is on offer. 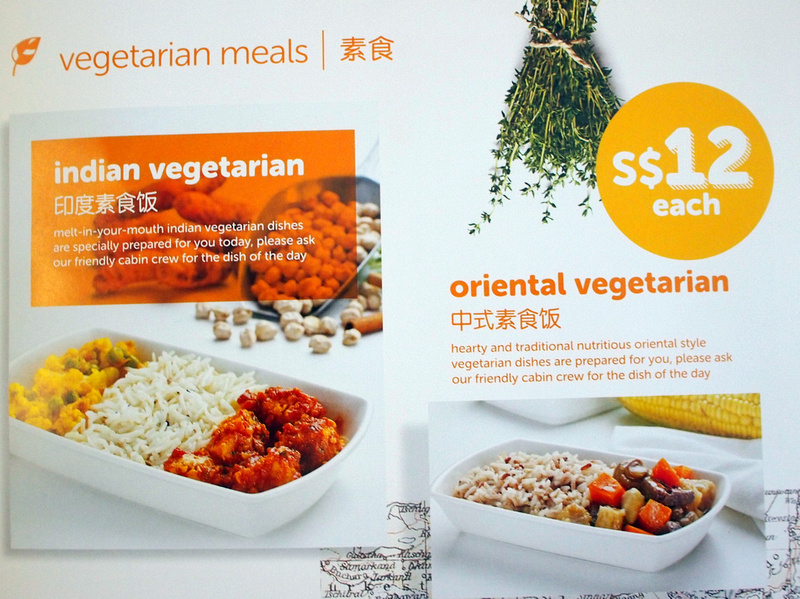 The main hot meals cost 12 SGD ($8.84 USD) which is far more expensive than competing low cost airlines in the region. As a comparison, an AirAsia hot meal is $3.85 USD and on VietJet Air $2.45 USD. The water is also pricey for the region. I did a double take to make sure it wasn’t the Tigerair Australia menu in the seat pocket, but this was the price in Singapore Dollars. A water cost 4 SGD ($2.95 USD). 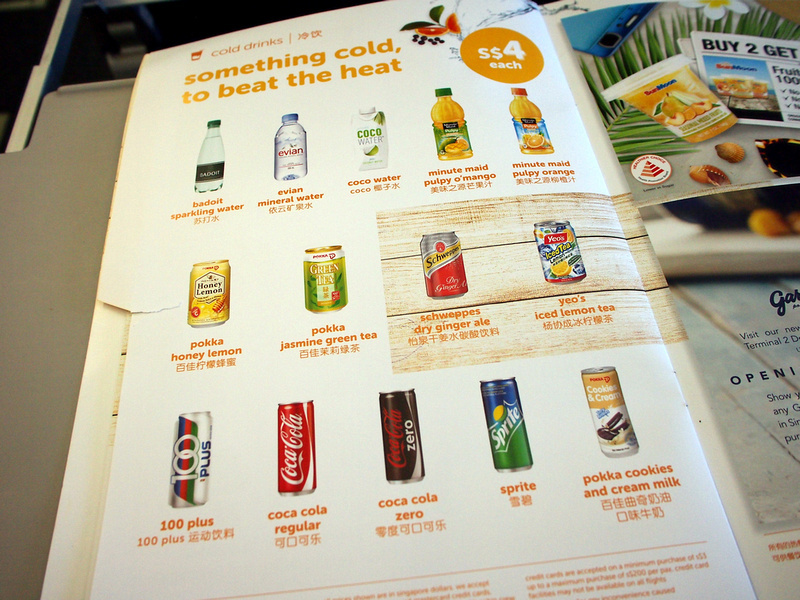 Compare that to VietJet which charges approximately 90c. Weird too that they serve Evian, which is not really a brand associated with low cost anything. I usually bring my own water but sometimes you get to an airport that have no water fountains (Penang does have water fountains). Immigration forms are handed out to non-Singaporeans, which saves time filling them out upon arrival. Overall this was a good value flight especially if you are looking for cheap flights between Penang and Singapore. Just eat before you go!